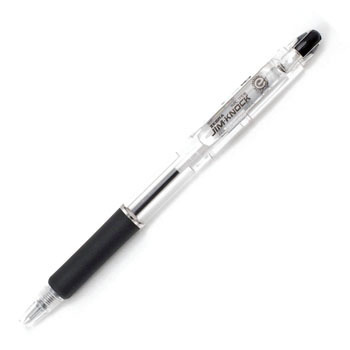 Using various manufacturers I think that it is easier to use and the ink is stable in the original ballpoint pen type. This review is about item#34883606. This review is about item#06851494. It may be easy to use. I bought a few, although I bought it because I was short of free shipping. Dispatch is also early, Monotaro is a friend of our company (lol) Thank you in the future. I use it when writing on notes. You can use it with confidence as you can write firmly for cheaper price. This review is about item#34883572. It is cheap, comfortable to write, and you can buy up to the replacement core simultaneously. There is nothing to say. Red also does not become occasional and this point is also pretty.